PBA is very excited to be collaborating on the Southbow Landing project in Cochrane, AB. The always wonderful David Parker of The Calgary Herald wrote this feature and we are proud to share it with you. The Southbow Landing project boasts beautiful wetlands, a four-hectare-sized Village Centre and housing for 7000+ Cochranites. It will be a beautiful community, no doubt. With several members of PBA Land and Development having competed in sports at a national level, the team understands the powerful connection between leadership in sports and in business. Chief Executive Officer, Patricia Phillips, uses the skills she honed in her own sporting career to lead PBA, one of Calgary’s premier land developers. 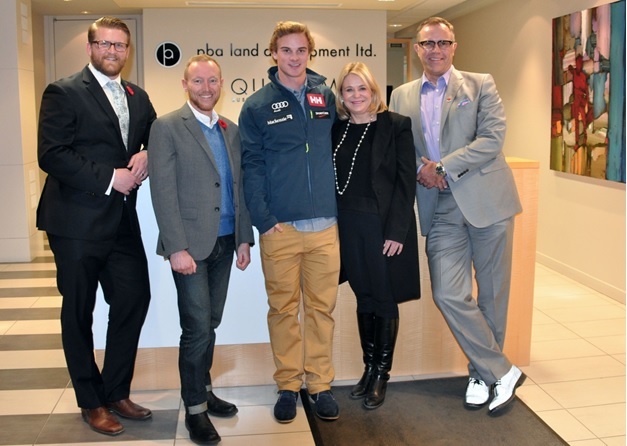 So, when the opportunity arose for PBA to support Alpine Canada ski racer Trevor Philp on his journey to the 2018 Winter Olympics, the synergies were obvious. A pioneer in Canadian Ski Racing, Trevor is a two- time National Champion, has competed in one Olympic games and two World Championships, all while attending the University of Denver full-time. He completed his business degree in four years with excellence, while skiing for the university and for Canada. What do successful business leaders and top athletes have in common? I believe that while the ‘X Factor’ behind the success of some athletes is usually intangible, there is no doubt much can be attributed to a positive state of mind, commitment to excellence, drive and a steadfast belief in a vision. In addition to these characteristics, elite athletes and top business leaders are influential mentors to their teammates and lead by example. They celebrate success and look at setbacks as learning opportunities. They stay focused on their intention in the face of a mass of distractions. And, possibly most importantly, leaders inspire their team members to work collaboratively towards a common vision. Skiing the anchor leg of a team event for Canada at the World Cup skiing championships in Beaver Creek in February, Trevor earned a silver medal, which had never been done by a collegiate skier. 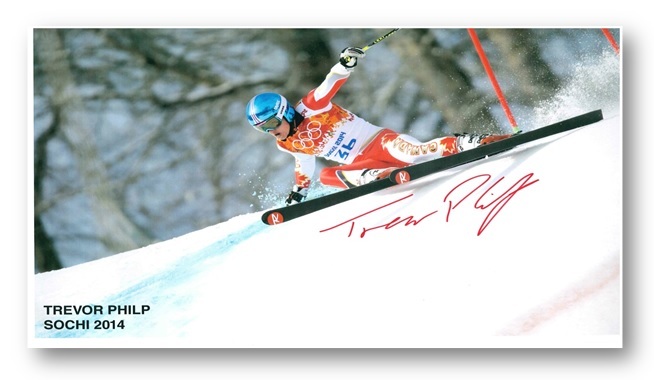 In fact, prior to Trevor’s win, no collegiate skier had ever won a medal in a World Cup event. Following this win, Trevor also won the University of Denver’s most prestigious award, the 2015 Pioneer Award. The Pioneer Award is the highest honor given to undergraduate students. It recognizes students who demonstrate strong academic performance, leadership, community service, campus involvement, strong character and pride in the university. Not coincidentally, these are also hallmark traits of strong leaders, and it’s here that Trevor is paving the way for other high performance athletes through example and support for his colleagues. Trevor continues to demonstrate leadership in anything he puts his mind to, and Team PBA and I are delighted to join Team Philp on the road to Korea!